Our company uses otform to have our customers pay their bills and we use Stripe as the integration. I contacted Stripe to see how we could set up recurring monthly payments for our customers. 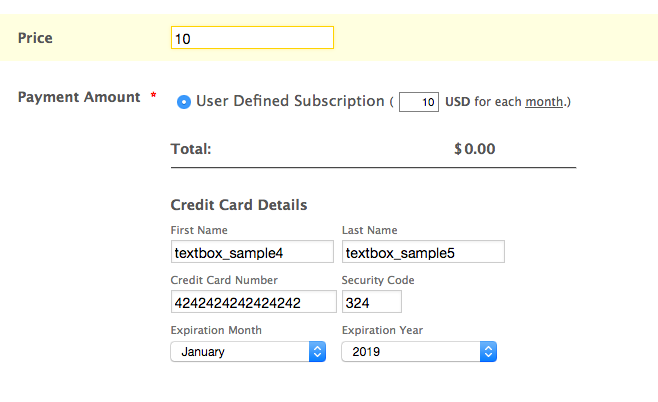 They encouraged me to reach out to you first to make sure the Stripe integration is compatible with Stripe's subscription services or whether otform offers its own way of setting up subscriptions through the forms. Can you let me know if this is possible and if your forms are compatible with Stripe's subscription services? Firstly, thank you for contacting us. 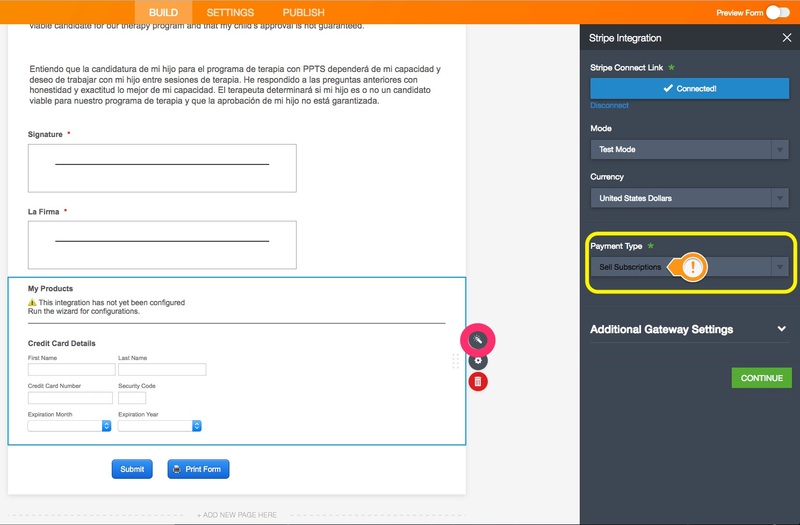 It is possible to set up recurring payments in our Stripe Integration. I hope this explanation helps. If you need any further assistance or clarification, please do not hesitate to contact us. Thank you for your response. The form we use is a general form that all of our customers use. I see when I setup the integration that the customer's name and subscription amount is on the general form for everyone to see. I don't want that. Is there a way to set this up so each customer is only seeing their monthly payment amount or that each customer can authorize for us to auto bill their card each month. This is what I really want to set up. 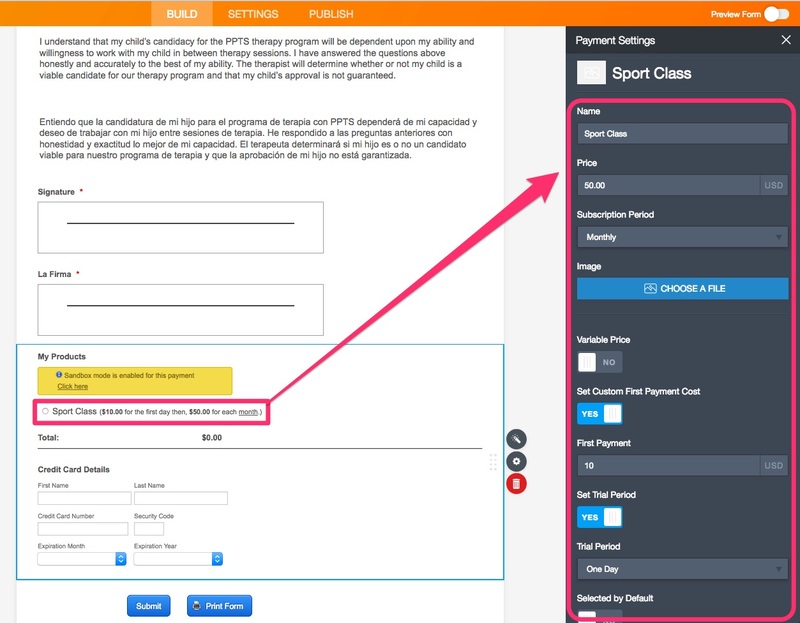 There isn't a way to set the payment gateway so that each customer will only see their monthly payment amount. Besides, It is possible that each customer can authorize their payments to auto bill their card each month. 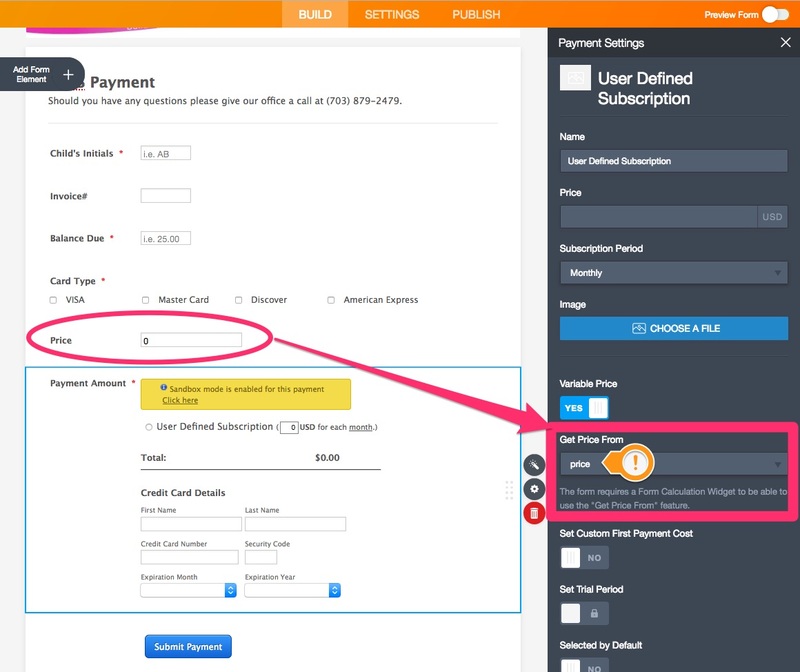 You can select the variable price option for the recurring payments in the Stripe payment gateway. So that, it will depend on the customer and the other customers do not have to know the value of the others pay. I have recloned your form again named "Therapy Services Payment Form" to show you. I hope this solution helps.